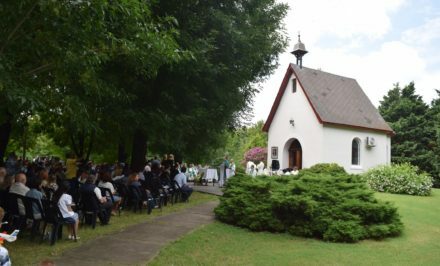 We remembered 1 May 2017 when there was a pilgrimage from the Girls’ Youth’s Little House to the land being conquered, followed by Masses every Tuesday, Covenant Masses, weddings, baptisms, spiritual retreats, regional conferences, retreats, visits, and talks with parents and the National and Provincial Advisors of the Movement, adoration of the Blessed Sacrament coordinated by Father Kentenich’s vocational circle, as well as the neighborhood missions for the Boys’ Youth, and family missions, which allowed the covenant to be concretized on the way out. In addition there were concrete conquests of the Shrine’s symbols, such as the picture of the Blessed Mother and the Unity Cross. 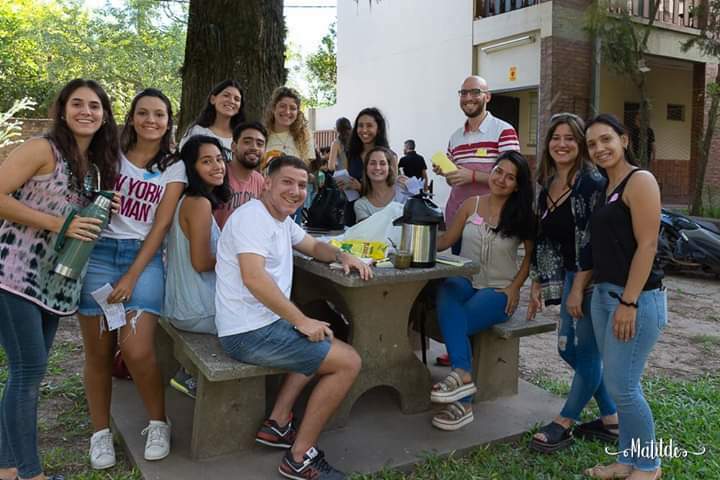 We also must mention the reorganization of the internal structure of the Movement, forming new teams of officers and communication, which allowed us to lead a more organized Schoenstatt life, generating and strengthening new bonds at the national and international levels. We thank the different dioceses, wayside shrines, and communities for their unconditional and fervent accompaniment with prayer, making the phrase— “Nothing without you, nothing without us”—visible. We firmly believe that Mary will continue to guide us on the path of conquering this land for her. 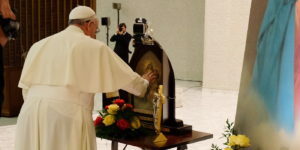 This was a great step forward in that direction; we will continue to strengthen our faith in Divine Providence: “With Mary joyful for hope, and sure for Victory, into the newest times.”. 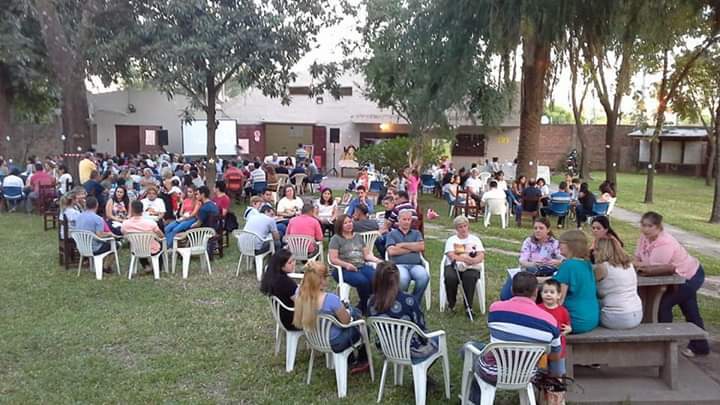 On Sunday, March 24th, the Resistencia Family gathered to begin their activities for the year. 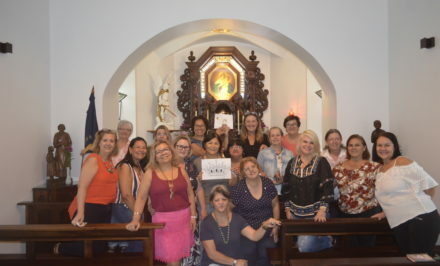 For this, previously, the Family was invited to a challenge-challenge “Mother on the way” where different Branches shared images of their moments lived with Mary. With this joyful, motivating, and contagious spirit, we want to share with you some key moments of the day. 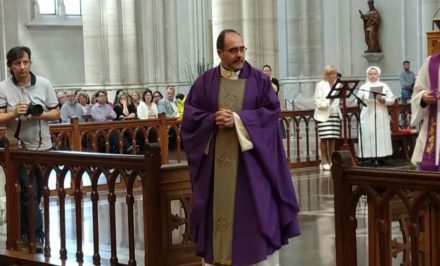 In his talk, Father Martín Gómez, advisor to the Chaco Movement, recalled a motto from beginning founding times in South America: “They walked at night with faith, at dawn.” He also added an old motto from the Letter to the Hebrews chapter 11:8 —Faith and Hope— ‘By faith Abraham obeyed when he was called to set out for a place that he was to receive as an inheritance; and he set out, not knowing where he was going…’ to see with the eyes of faith, our practical faith in Divine Providence, I freely give him a blank check. 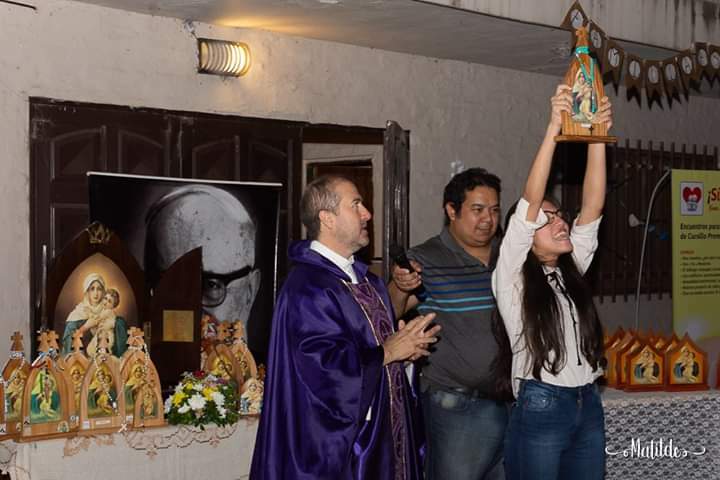 He called for reflection: “May Mary show us the place for her.” Years ago we crowned the Blessed Mother as “Queen of the land, refuge of the family” and we prayed for the conquest of our future Shrine, until here we arrived at this place. Nothing was in vain; we must ask ourselves: What does God want to say to us in these times, which for the moment are not easy to understand and discern? 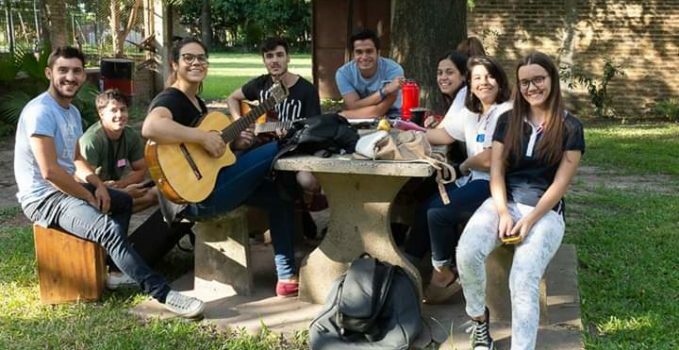 But we must be sure that Mary took herself very seriously and she has it in her heart—all this dedication and commitment of the Resistencia Family. The Blessed Mother never lets herself be outdone in generosity, she will always guide us, and she has manifested herself with all that she has experienced in these two years, the mere fact of having a place of her own for the family to gather, having a place for Mary, is a reason to be grateful. To think, too, that maybe this isn’t the place she chose, isn’t it? The Blessed Mother is the great educator, she invites us to be more patient, and not to lose hope at dawn, let us not be overcome by the difficulty of the moment, let’s ask her to strengthen our weak knees. Now we are left as family and instruments, to put into practice the faith, the law of open doors and others that are closed. As Father Kentenich said, feel God’s plans carefully, and give ourselves entirely to him. He said that in the time lived in Dachau in the midst of darkness; he always kept his faith intact. We must glorify the Blessed Mother with our covenant life by allowing everything to be her work. 3) Re-emphasize the importance of the contributions to the capital of grace of the Mother Thrice Admirable. With them the family emerges or decays in its fruitfulness, the serious, authentic and daily effort for holiness in the Marian apostolate. He also added that the family must be a correspondent in the commitment to build heart shrines, home shrines, and a place for Mary. We must be attentive to signs Mary sends us, overcoming old wounds, fleshing out that we are family and continuing with strength towards today’s times. 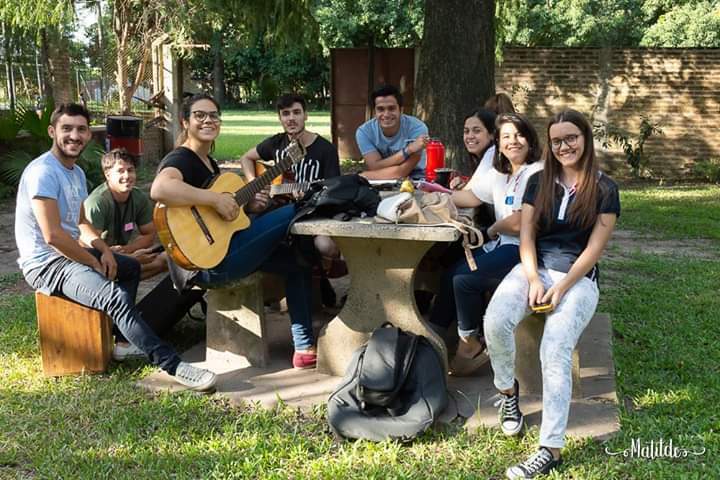 We must put “a Schoenstatt going out” into practice. 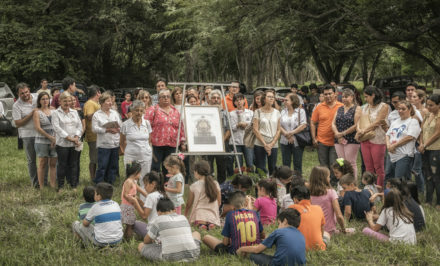 With missionary and apostolic strength through concrete actions of rising and continuing with faith and hope, so that the Blessed Mother manifests herself in Resistancia…walking more united with joy, more confident, more heroic, faith at dawn, joyful in the sure hope of victory, into the new times. At the end of this enriching talk with the family, there was a moment of reflection and an exchange of ideas and feelings. 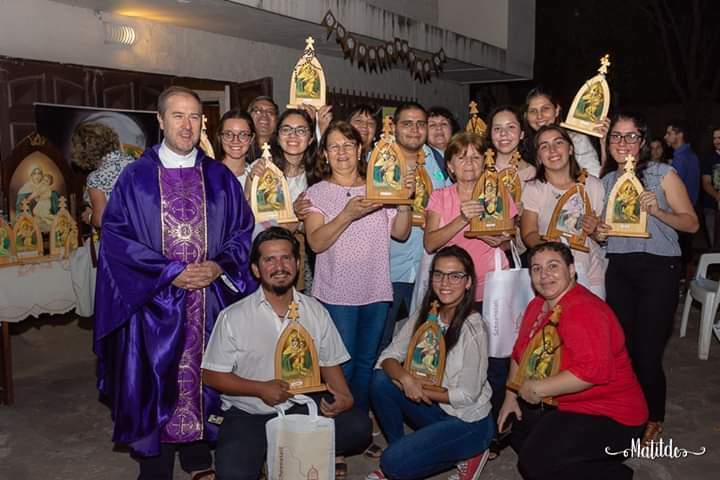 The event ended with a Holy Mass of sending new missionaries forth, thus inaugurating the Chaco Schoenstatt Family’s activities.